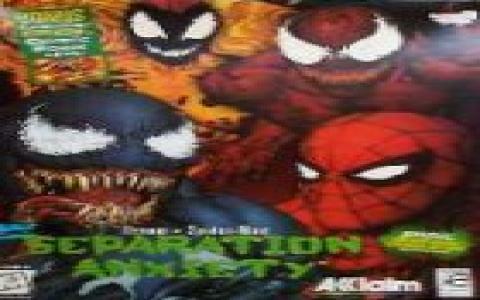 Spider-Man And Venom: Separation Anxiety is an action side scroller beat'em up game released in 1995 by Acclaim, and also, a sequel to Spider-Man and Venom: Maximum Carnage. 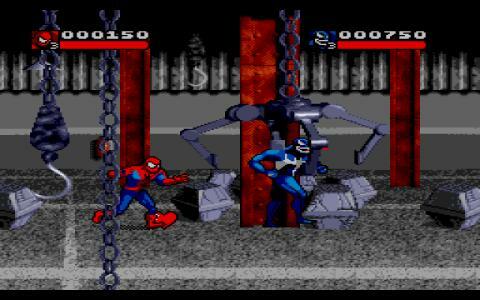 I have to say I am a huge fan of Spiderman, and I enjoyed this game, but it didn't pleased my spider sense entirely. The story is based on the comics. 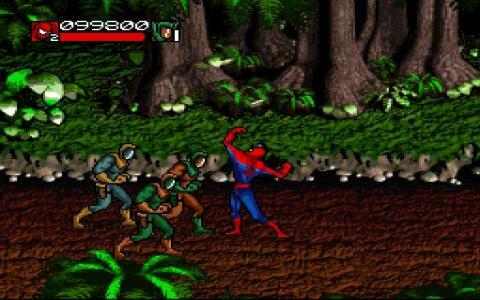 You can choose to play as Spiderman, as Venomm or as both (in the single player or multiplayer), and you have the possibility to kick, use your web, to punch or use advanced combos in your fight with the bad guys. To take a break from the battles, you can climb walls or buildings, and this is pretty convenient. 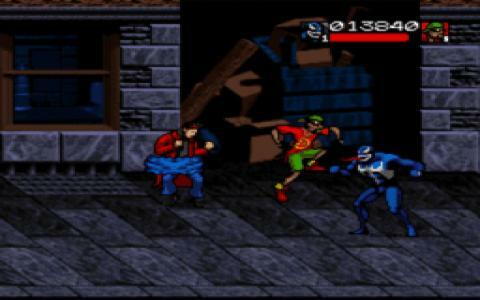 The graphics are well detailed, so the characters, and the music is quite good, above average. The Spiderman and Venom's agility will maintain the entertainment and will give a vibrant taste to the action. Something that didn't give this game originality was the repetitive aspect, because of the same enemies and locations. 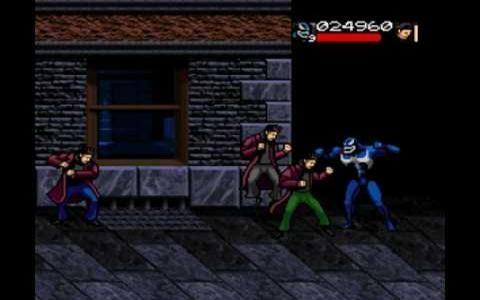 The levels include fighting in the streets, rooftops, and other hidden places. 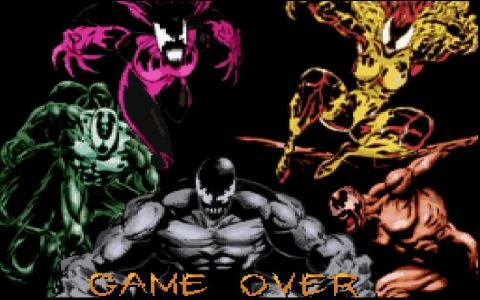 Most of you will compare Separation Anxiety to Maximum Carnage, if you liked the predecessor, you will find many flaws in this game. Unlike Spiderman, who shoots with web and posseses more powerful skills, Venom is slower and has the ability to shoot with a substance identical to mud. So, I recommend this game only for the love of Spiderman, as for the rest, nothing particularly innovative.